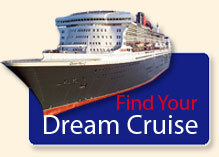 We help you find the perfect cruise vacation to match your travel style, needs, and preferences. You benefit from our expertise and first-hand knowledge of various cruise lines. Get the most out of your cruise vacation while staying within your budget. Gain valuable tips to help optimize your cruise experience. 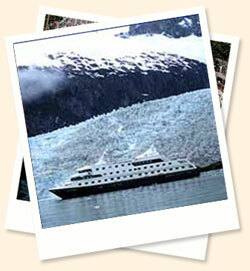 A cruisetour combines a cruise with a land-based tour. Choose from a wide variety of itineraries. Extend your cruise vacation to include inland highlights of your destination. Experience the best in ocean cruising and land touring in a single vacation. Unlike oceanliner cruises, most land-based sightseeing is included in your cruise fare. River cruise ships are smaller, and fewer guests on each sailing ensure a more intimate shipboard atmosphere. River cruise ships are able to access waterways and ports unreachable by larger ship. This gives passengers the opportunity to visit a wider variety of destinations, including more exotic locales. River cruise ships most often anchor themselves along the river banks in the center of town. Simply step off the ship and begin exploring! River cruise ships offer mostly outside or balcony staterooms, offering beautiful views of your surroundings. Dining options and styles vary amongst the river cruise lines. The local cuisine is highlighted alongside traditional favorites. Beer, wine, and soft drinks are most often included with lunch and/or dinner on river cruises. A river cruise may be enjoyed as a vacation by itself, or may be incorporated as part of a regional tour. 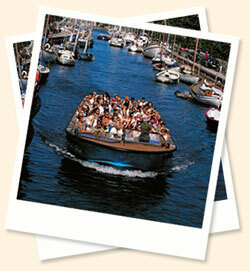 Specialty cruises may revolve around a theme or be geared towards cruisers with particular interests or hobbies. Specialty cruises are also a popular choice for clubs, groups, and other organizations looking to offer their members a unique and memorable vacation experience. And much more! Contact us for details.